Everyone knows that hand washing is an important part of staying healthy. Hand sanitizers have their place, too, because they kill germs. However, sanitizers do not remove food allergens. This means that if you eat a food that contains allergens like peanuts, there is a serious risk that the allergic peanut proteins will still be on your hands even if you use hand sanitizer. To reduce the risk of contaminating other people or surfaces with those allergens, wash your hands with soap and water, or use wet wipes. Seafood fraud: the more things change, the more they stay the same. Species substitution is an economic fraud. It also puts people at risk of exposure to higher levels of mercury. Lastly, the substituted fish may have been caught in an environmentally destructive manner. Sounds simple, right? Yes, but you can’t just eyeball a Butterball. Make sure your Thanksgiving turkey is safe to eat — cook to an internal temperature of 165 F, measured with a digital thermometer. Buying one costs far less than food poisoning! Bonus: your bird will be moist and delicious without being overcooked. Check out Amazing Ribs for safe cooking temps for other meats (and incredible recipes). Today’s New York Times published a front-page report about starvation of millions of people in Yemen, including toddlers like 20-month old Jenna Ali Hatem. America’s inaction and relative silence about this humanitarian crisis is horribly wrong. Juxtaposing that image of famine with an article about Thanskgiving feasts should give us all pause. Little more than age and luck separate the girls in these photos. As we enter the holiday season, please do more to help those who can’t help themselves. Restaurants can be held responsible for food allergy injuries and deaths, so it is important that they provide accurate information to food-allergic consumers. Thanks to @marketwatch for the opportunity to discuss these issues. CNN is reporting an outbreak of botulism food poisoning allegedly caused by nacho cheese from a convenience store. 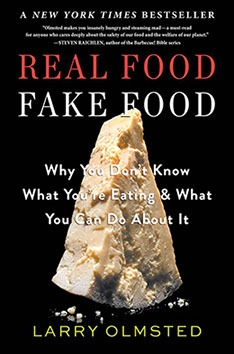 I’m honored to be quoted in Larry Olmsted’s New York Times bestseller, Real Food Fake Food. Food fraud is a recurring and pervasive problem in many industries – seafood, olive oil, wine, honey, and many more; even rice. Why food fraud? Much is economically motivated, i.e., follow the money. But this can be much more than just a hit to the wallet; food that is not what it purports to be can cause injury. How can it be stopped? Transparency and traceability are two tools that can help. Some consumers are also turning to class action lawsuits to try and clean up the industry.